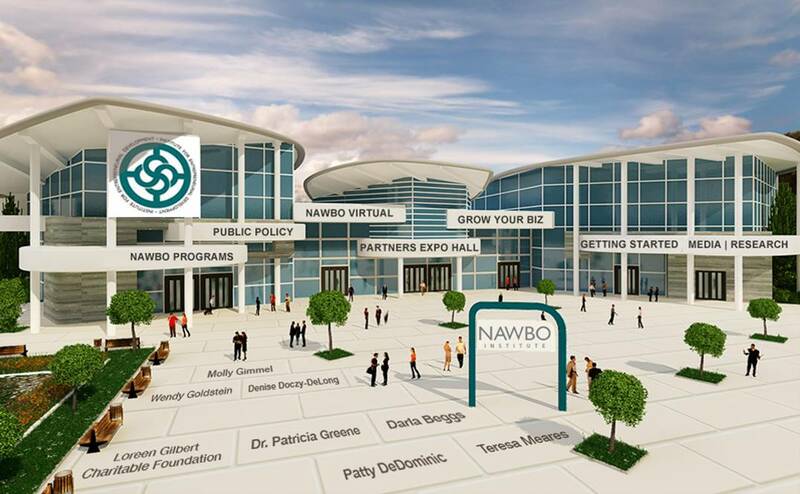 Loreen Gilbert serves as the Chair of the NAWBO Institute (National Association of Women Business Owners Institute) which provides resources and tools to women business owners around the globe. She spent four years on the Board of National Association of Women Business Owners (NAWBO), representing more than 11 million women business owners in the US. Gilbert was also awarded the Remarkable Woman Award as “2016 Business Owner of the Year” and “2017 Advocate of the Year” for NAWBO-Orange County, California. She was honored by Enterprising Women Magazineas the national winner of the 2017 Enterprising Women of the Year award in her category. Gilbert acts as an ambassador for Opportunity International, a micro-lending organization helping mainly women in third world countries to start or expand a business. She was appointed to the Trump Pence Small Business Advisory Council, one of only 19 appointees in the U.S. and the only representative in California. She was selected by Facebook to broadcast globally from their HQ in celebration of Women’s International Day. Gilbert has been covered by US News & World Report, USA Today,Investor’s Business Daily, Yahoo! Finance, Money Magazine, Reuters, Financial Advisor Magazine and WealthManagment.com. She also hosts on-air segments for KX 93.5 FMwhere she resides in Laguna Beach, California, to educate listeners on financial matters. Her iTunes podcast is called WealthWise Moment. Gilbert’s business licenses and credentials include registration as an Investment Advisor Representative with LPL Financial; FINRA Series 7, 63, 24, and 65, registrations held through LPL Financial; Certified Investment Management Analyst (CIMA) designation; Accredited Investment Fiduciary (AIF) designation; Certified Retirement Counselor (CRC) designation; Corporation for Long Term Care (CLTC) certification; “member, Qualified Kingdom Advisor” certification; insurance licensed in Life, Disability, Variable Life, and Long Term Care; and Bachelor of Business Administration. For eight years including 2018, Ms. Gilbert was published as receiving the Five Star Wealth Manager Award as published in Orange Coast Magazine and The Wall Street Journal. Teresa Meares has 19 years of law enforcement experience and is a retired patrol sergeant with the St. Johns County Sheriff’s Office. She has a bachelor’s degree in Criminal Justice with a minor in Psychology, a master’s degree in Public Administration and more than 300 hours of advanced management training. She is currently the President of DGG Uniform and Work Apparel where she manages 15 full-time and three part-time employees, who operate a distribution of business and uniform apparel. Teresa also manages Audibelle, a clothing line launched by her daughter, Kayla Meares. The inspirational clothing line is focused on girls between the ages of 13-17 years of age. Teresa is a published author of the “Think Safe 2 Be Safe” series, with stories focused on teaching children how to stay safe. Teresa is on the Business Journal’s “List” as a top Women-Owned Business in NE Florida; she was the recipient of the 2009 Jacksonville Business Journal’s Women of Influence and the 2010 Entrepreneur of the Year for the North Florida Women in Business Awards. She is Immediate Past Chair for the National Association of Women Business Owners and Board of Director for the Hubbard House. She is a Past President of the Women’s Business Owners of North Florida. Additionally, on the Steering Committee for the World Association for Women Entrepreneurs (FCEM), and is on the advisory council for Enterprising Women Magazine. 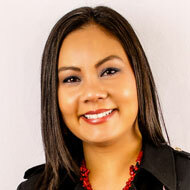 Crystal Arredondo is a Partner at MPACT Financial Group and a Retirement Planning Specialist. After obtaining her MBA in Finance at the University of North Texas, she began her career as a financial advisor. She realized that her parents could have avoided many difficult obstacles in running their own small family business for years with financial guidance and trusted advice. As a result, her passion is working with people to provide a “total strategy” for a successful retirement. Another area of focus is helping owners of closely held businesses plan for succession and transition out of their businesses. Sandy Bartow recently retired as president of the Jacksonville Chamber Foundation, Inc. As a Foundation program, Sandy also had oversight of the Jacksonville Women’s Business Center. Prior to arriving in Jacksonville, Sandy was co-founder and executive director of the Kansas Women’s Business Center and a long-time entrepreneur, small business instructor, and consultant in Kansas City. Through her dedication and proven leadership she has helped thousands of aspiring and existing entrepreneurs to achieve their dreams and positively impacted the communities she has called home. Nationally, Sandy speaks on success in entrepreneurship, women’s initiatives and leadership. She has served on several boards including a three-year appointed, federal term on the National Women’s Business Council, a bi-partisan group who advise the President of the United States, Congress, and the Small Business Administration on women’s business issues. In 2008, she was selected as one of the inaugural TIAW World of Difference 100 by The International Alliance for Women. This award was created to honor women, from around the world, who contribute to the economic empowerment of women. In July, 2015 Sandy was appointed for a two-year term on the Board of Directors of the National Association of Women Business Owners® (NAWBO®) Institute. Darla Beggs is the President and CEO of Abba Staffing and Consulting, Abba Parking Services and MGD Management Group. Her business experience includes consulting with HR, insurance and oil and gas professionals to evaluate and establish effective programs with a focus on cost effectiveness coupled with employee satisfaction and retention. Prior to acquiring Abba Staffing and Consulting in 2006, Darla held leadership positions with Travelers Insurance and The Principle Group in account management services, marketing and benefits administration. When Darla is not busy working on her own businesses, she is active in various women-owned and minority-owned business groups focused on providing quality solutions for clients’ needs at every level. She is a devoted leader in both professional and philanthropic organizations. In 2011, Darla was appointed to the National Board of Directors of NAWBO. She served in many capacities on the Executive Committee until 2016, including as National Chair. Darla is committed to helping other women business owners succeed by providing mentoring and professional support. Abba Staffing was named the 2011 Overall Business Enterprise of the Year by the North Central Texas Regional Certification Agency. In 2012, Darla was awarded the NAWBO-Dallas/Ft. Worth “Star” Award and the Women Business Enterprise Council Southwest 2012 Done Deals Women Working Together Award. President and CEO, Core Strategy Partners Inc.
Tameka Montgomery is the president and CEO of Core Strategy Partners Inc., a consultancy that helps corporations, governments, and nonprofits develop, discover, and implement effective strategies to strengthen and advance entrepreneurial development for women, youth, and underrepresented entrepreneurs. 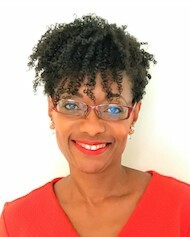 Over her nearly 20 years in economic and entrepreneurial development, Tameka has been instrumental in developing local and national policies and programs to strengthen entrepreneurial ecosystems and services to all entrepreneurs. Prior to founding Core Strategy Partners Inc., Tameka served as an appointee for President Obama leading the U.S. Small BusinessAdministration’s, Office of Entrepreneurial Development. In this capacity, she was responsible for a budget of more than $160 million to drive entrepreneurship training programs and policies that supported thenation’s 28 million small businesses. Tameka is a graduate of Spelman College and Columbia University and she holds an honorary doctorate in entrepreneurship from Johnson and Wales University. Tameka is a graduate of Spelman College and Columbia University and she holds an honorary doctorate in entrepreneurship from Johnson and Wales University. Tameka and her husband Jonathan live and homeschool their three young sons in the D.C. Metro area. Warnick has utilized her extensive business knowledge in leadership roles within her professional and civic communities. Warnick’s leadership expanded to the national level on the National Presidents Assembly Steering Committee and the Nominating Committee. Additionally, Warnick was Treasurer on the board for the Women’s Small Business Accelerator in Westerville, Ohio and instrumental in bringing the Young Entrepreneurs Academy to the Columbus area. Warnick is the Immediate Past National Chair of the board of the National Association of Women Business Owners. Laura Yamanaka is President and one of the Founders of teamCFO Inc., a financial and accounting firm offering onsite customized CFO/Controller services on an as-needed basis to businesses and nonprofits. teamCFO was founded in 2000 to improve performance and support the growth of the private business community. Today, teamCFO has a dynamic group of professionals focusing on both growth issues and turnaround operations for its clients. Serving both the for-profit and non-profit communities, teamCFO is a well-known resource in the Southern California area. Since its inception in 2000, teamCFO has received several regional and national awards, including the Asian Business Leadership Award by Wells Fargo/U.S. Asian Pacific Chamber of Commerce and the Women in Business and Accountant Advocate Award from the Small Business Administration. Jen Earle has had the honor and delight of working with NAWBO since 2008. Utilizing her institutional knowledge and consistent drive for advancing the mission of NAWBO, Jen has worked collaboratively with National Boards of Directors and past CEOs to help carry out the Board’s vision for the organization and navigate NAWBO to where it is today. 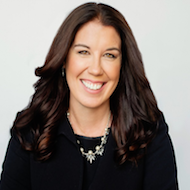 Jen brings to the table more than a decade of multi-disciplinary, high-level experience in operational and project management development, support, and execution for a broad range of boards, business groups, entrepreneurs, CEOs and executives. Jen has successfully established operational infrastructures for her clients. She serves at the executive level, working with nonprofit boards, meeting and event strategy and planning, partner outreach and relationship building.